I create these body scrubs myself using DoTERRA oils or essential oils. 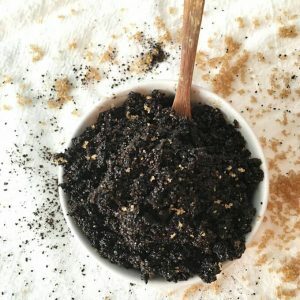 I can customise the body scrub to different blends. Have a browse of the DoTERRA oils, or if you have a specific essential oil you love, drop an email – if I don’t have the oil on hand that you are after, I will source it for you, the turn over for making your body scrubs will just take a week or two longer.